Overcrowded subway trains would skip certain stations during rush hour under a plan New York City Transit is considering to speed up lagging service. One of the slowest trains, the No. 4, had an on-time record of only 70 percent in May, according to the latest statistics, underscoring the need to find solutions quickly, agency officials said. But transit advocates immediately expressed skepticism, especially since transit officials stopped skip-stop service on the former No. 9 line in 2005. “If you were along the part of the line that was skipped, you hated it,” said Gene Russianoff, a staff attorney for the Straphangers Campaign, an advocacy group. Skip-stop train service also can confuse riders, advocates said. “People run down the stairs and jump on and realize it’s not the train they want and have to get off and change,” said Bill Henderson, head of the Permanent Citizen’s Advisory Committee to the MTA. No. 4 train riders were mixed on the idea. “It’s a great idea as long as it doesn’t skip me,” said Katy Burke, 23, of Throgs Neck. Some riders weren’t opposed to the plan, so long as it was clear which stations would be skipped. “Anything that helps, anything that makes it faster is a good idea,” said Donna McCabe, 34, of Bay Ridge. 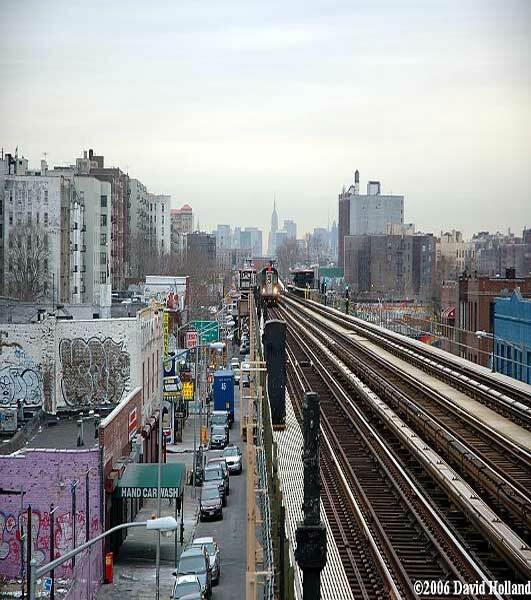 Advocates noted that the service has worked for several years on the J and Z lines, which run through Manhattan, Brooklyn and Queens. Transit spokesman Paul Fleuranges said the service is merely being considered right now. For at least one MTA board member, anything idea that speeds up trains is welcome. On-time trains have decreased by 5 percent between 2003 and 2007, according to transit stats. How should I phrase my feelings on this idea? Hmm….. how about HELL NO! While this idea is only an idea being tossed around, I am here to say that it should be taken out of consideration immediately. Skip-stop service was an idea that worked well in the past as it provided more frequent service to local only stations along a line. However that was then & this is now. Skip-stop service does not work in today’s transit world due to the huge growth spread out throughout multiple stops in many neighborhoods. While advocates for the idea will point to the current skip-stop service on the J/Z as a success, one must look at why it is. I will go one step further & say it isn’t a case of it may not be, it is a case of it clearly won’t be. There is no way you can justify any sort of skip-stop service along the entire Manhattan run of the 4. There is a reason why this kind of pattern was disbanded on the 1&9 a few years ago. The growth in ridership at the skipped stops rendered the service pattern outdated. This would only be 10x worse in the case of the 4. Instead of wasting time on ideas that will only make things worse, how about correcting the real issues at hand.